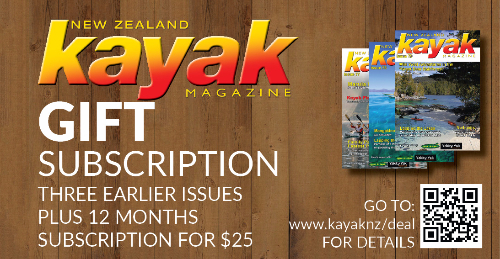 Subscribe to the New Zealand Kayak Magazine and have it delivered FREE to your door. Four issues for NZ$25 saving $5 on the news-stand price including postage. Overseas subscription NZ$40 including postage. To subscribe; just click on the Buy Now Button in the left column. On completion, you will be taken through to the database form to fill in your details.